The world just got a glimpse of the suits astronauts may one day wear when they travel to the International Space Station aboard a SpaceX craft. 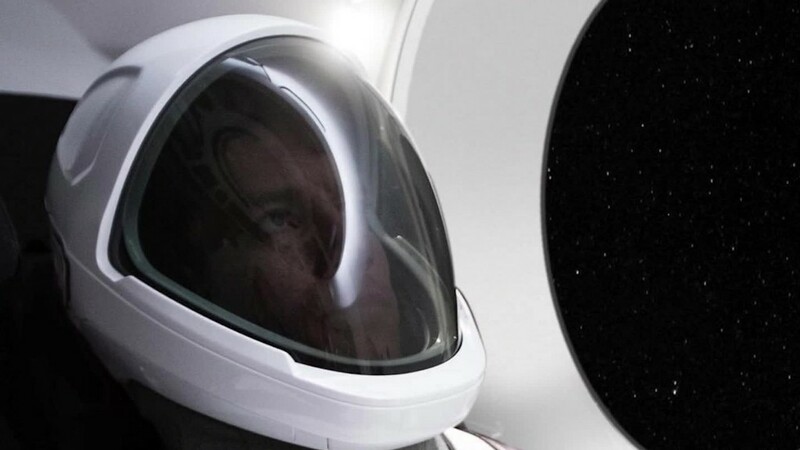 Elon Musk -- the billionaire serial entrepreneur behind SpaceX -- shared a photo Wednesday of an astronaut wearing a crisp white suit with black paneling, and a helmet with a large, tinted face shield. Musk said via an Instagram post that the suit pictured is an actual, functioning version of what the company will one day give to astronauts. "Worth noting that this actually works (not a mockup)," he wrote. "Was incredibly hard to balance esthetics and function." The spacesuit is designed to be used on SpaceX's Crew Dragon -- a new spacecraft the private company is developing that will ferry astronauts to the space station under contracts with NASA. SpaceX is in a race against Boeing (BA) to make history by becoming the first private company to complete that sort of mission. Until now, only governments have sent humans into orbit. The United States hasn't had a craft certified to carry humans into space since NASA retired the Space Shuttle program in 2011. So in recent years, NASA has relied on Russian missions to get its astronauts to and from the space station. Boeing and SpaceX have each been developing a crew-worthy spacecraft for years. NASA put its faith in the two companies by awarding them both contracts in 2014 to one day fly crew. Both have been awarded missions, and the companies received $4.2 billion and $2.6 billion respectively. Now, it's a race to the launch pad. Both Boeing and SpaceX are expected to launch their first crewed missions at around the same time, possibly next year. Boeing was first in one respect: the company has already revealed its spacesuit design. It's a notably different esthetic -- bright blue material and mid-calf boots designed by Reebok. Apart from the spacecrafts under development by Boeing and SpaceX, there's one more crew vessel in the works: NASA's Orion, which Lockheed Martin (LMT) is building under a federal contract. Orion, however, is intended for missions more complicated than space station trips. Rather, NASA has designed it for trips to the moon, Mars and even beyond. NASA says the suits for Orion missions will be modified versions of the bright orange jumpsuits astronauts wore for take off and landing during Shuttle missions. SpaceX declined to share more details about its spacesuit design on Wednesday. Musk teased on Instagram, "More in days to follow."